So, its been about a month since my last update and, as you can tell from the title, a lot has happened. However, you will have to read on to see how I lost my job. Maybe I will hide those details somewhere in the middle just to annoy the people who skip right to the end to see if the details are there. Alright, well, what else have I been up to. After coming back to the shock of not only the most snow of anywhere in the world as well as completely frozen pipes and toilet to boot (which has subsequently happened a second time), I have managed to have a few adventures along the way. On the weekend of January 20-22 I travelled back to Tokyo to meet a friend of a friend that I had been chatting to on msn, but had never actually met. Turns out, she is a lovely girl and her and her family were very gracious to let me stay at their place near Yokohama. It really is nice having a local to hang out with, especially around a crazy city like Tokyo. Anyway, the main purpose of my visit was to see a Sumo tournament. These are only held 6 times a year in Japan, only 3 of which are in Tokyo. I had been watching some of the past tournaments (which last for 15 days, by the way) and actually found it quite fascinating. Naturally, I was excited to see 300+ pound men wearing essentially nothing but diapers (and a lovely hairpin) give each other weggies and try and knock each other over. Sounds like something the boys back home might do to my good friend Curtis (make sure you get it on video if you do). Anyway, the sumo spectacle was a blast and I am hoping to get back to see another in May. I was comtemplating becoming a sumo because it turns out I had eaten a little too much when I was home for Christmas and I figured I could easily pack on some more pounds if I needed to. Then I found out that these guys are actually amazing athletes who can lift cars, do the splits, have to wake up really early in the morning, and only get one meal a day (albeit a very, very big one). So, maybe I`ll try badminton instead. Speaking of sports, I have actually joined a hockey club in a nearby city (nearby being 90 minutes drive each way). Anyway, I am by far the best white player on the team (you don`t need to know how many white guys are on the team). In fact, I am probably one of the top two caucasian players in the entire prefecture (province). Actually, the skill levels vary quite widely. There are a couple of guys around my age who actually started playing hockey before I did. They are definitely better than I am now. Maybe in my prime I would have given them a run for their money, but definitely not now. The thing I got, however, is instinct and that is something you just can`t teach. Anyway, the big tournament is this weekend and while I am pretty sure we will get slaughtered (I practiced with the top team in the prefecture and, let`s just say, they are better), I think we will finish top 5 (again, number of teams irrelevant). I am having fun with it, but you know what the best part about sports in Japan is ... the trainers. Every sports team (yes, even the badminton team, lawn bowling team, and speed-walking team) have trainers who basically are your slaves. They are usually really sweet girls so I feel a little bad about it, but that doesn`t mean I won`t take advantage of it while I am here. Besides, a guy needs a clean towel and a massage between every shift. And don`t forget about the mineral water chilled to 3 degrees and having my skates polished at least once a period. I don`t know how I will ever go back to the real world. Anyway, a couple of weekends ago I went to Nagano, which isn`t actually that far from here. It about a 3.5 hour drive to get to our hostel, but an avalanche bumped that up to 6.5 hours. Man, that sucked. The hostel was pretty amazing though. Brand new and run by the same people I stayed with in Kyoto. I`ll recommend them when you come visit. Anyway, we went snowboarding on one of the hills that held many of the Olympic events from Nagano`98. It was a bleedin` waste of time and money. The weather was fine and all, but I have never seen so many people on a ski hill in my life. The whole thing becomes an obstacle course and all you can think of is avoiding everyone else. This is made all the more difficult by the phenomenon I have observed in Japan whereby it appears everyone else is trying to hit you (this applies on the roads particularly parking lots, as well as on ski hills). 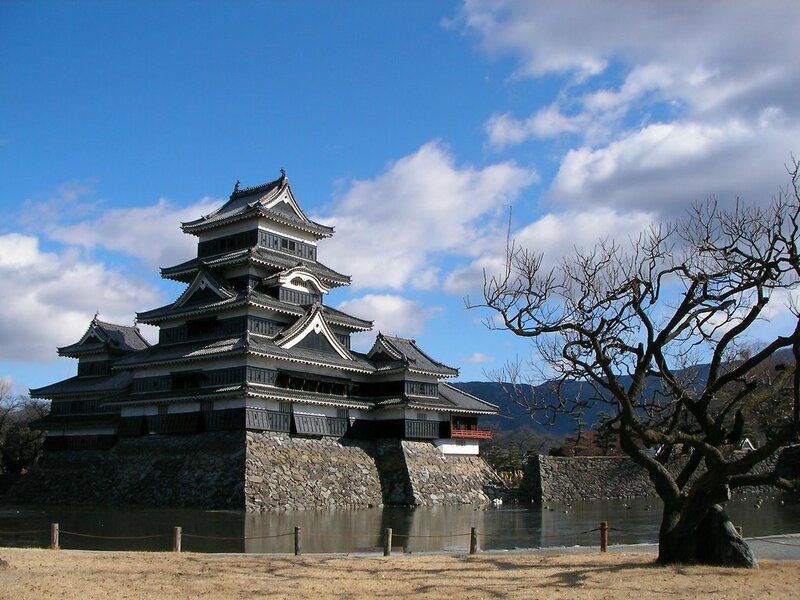 Nevertheless, Nagano (the prefecture) was not a complete waste. The next day we traveled 50 kms south to the castle town of Matsumoto. The strangest thing was that there was not a trace of snow to be found. We were less than 50kms from an area with maybe 3 meters of snow, yet here there was absolutely none. Odd. Anyway, this was my first experience with a Japanese castle and I loved it. Simple, elegant, beautiful. I actually wanted to see this in the winter because it is a black castle. I figured that it would contrast well against the snow, but since there was none, well, it didn`t contrast against the snow. It was a gorgeous day, however, so I got some nice pics. The inside of the castle was cool, too, but I don`t want to write anymore right now. However, since I haven`t finished my story, I guess I have to write some more. The next stop was the famous snow monkey onsen. This is where Japanese Macaques hang out in this one very specific national park and just enjoy the hotsprings (onsen). It was pretty neat and there were virtually only a handful of other tourists. I am finding that unless it is man-made the Japanese generally avoid the place. Strange and sad at the same time, methinks. So, we were in a bit of a hurry so we only spend about an hour taking pictures and vids of the monkeys enjoying themselves, completely oblivious to our presence. They totally don`t pay any attention to you, but you aren`t supposed to touch them. I don`t know what would happen if you did, but they seem to have pretty bad tempers so I think they would probably eat you. There was snow on the ground and the monkeys were busy eating snowballs, but my guess is that there were lots of bones under the snow and the snow tasted like people. I didn`t try it and I am not a macaqueologist, but this is my best guess. Why else would they tell you not to touch the monkeys? Oh, and the other thing I went to was the fire festival in a town in northern Nagano. It was interesting because there was a big fire, but it wasn`t too much different than the summer festivals. Both seasons see men, who get absolutely hammered on sake and beer, find ways of beating each other up in the name of a festival. They wouldn`t remember who did what to who anyway so you might as well get a couple of good shots in. Oh, now about that little detail about losing my job. I didn`t lose it, per se. I know exactly where it has gone. In October 2004, my prefecture was the victim of a pretty bad earthquake. The epicentre was pretty close by and lots of people died or were injured (though not as many as were killed or injured by the crazy snow, which killed 80 or so in January). Anyway, last year the prefecture threatened to cut many of the Assistant Language Teacher (ALT) positions and they probably would have, but the federal government stepped in a bailed them out. So, everyone still had jobs (I wasn`t here to partake in that goodwill). This year, it appears the federal government doesn`t pity Niigata prefecture as much and since the prefectural government still has no money, well, something had to give. It turns out that "something" was the high school ALT positions. There are about 150-170 positions in this prefecture, 40 of which are high school positions. Well, next year there are only 10 positions and mine is one of the casualties. I am actually pretty devastated that I have to leave, mainly because I have a bond with many of the students and teachers and come August, that will pretty much be severed and there is nothing I can do about it. I also think I have a pretty good set-up here and I think that I am very fortunate because not everyone has it as good as I do. Having said that, well, every cloud has a silver lining, I suppose. I have been offered a job as a municipal ALT in a town about 2 hours from here. It turns out that this town is pretty wealthy so my situation will improve in some ways. First, I get my own house, instead of just a small apartment with a tiny kitchen and a toilet that tends to freeze. It is also rent-free, if you can believe that. The thing is, this town is well of because there is an important energy-plant there that the government pumps lots of money into. It turns out that this energy plant is a nuclear powerplant and is no less than the largest of its kind in the world. I guess the good thing is that I will be closer to the ice hockey rink and larger urban centres. Nevertheless, I am pretty sure this is one of the ugliest cities on the planet so I am not really looking forward to that. Anyway, this thing is long enough for now. The next update should feature highlights from the hockey tournament, the "second most famous" snow festival in Japan, as well as some sure to be fascinating stories and photos from the Naked Man Festival (don`t worry, its just oversized diapers again). Dean!!! I'm sorry to hear about your job:-( However, you can't just say you lost your job with out some sort of details to follow!!! P.S. Your pictures are amazing! Is it because you're white? Sorry to hear, does that mean you're coming home? "...They wouldn`t remember who did what to who anyway so you might as well get a couple of good shots in." you would punch an asian fella...jerk!! I remember those kidney shots in jr high. I hope you grow a third test...(what?) when you're in your new town. All your stories are very interesting and I enjoy reading about your experiences. Not much new here. My knee surgery has gone pretty well. I still have some pain at times. Some spots hurt at various times. I guess that can be expected. I have finished with the physio therapy treatments. I guess they helped some. My knee doesn't straighten or bend fully. I guess it probably never will. However, I don't have the pain I had before when I walked. Well, everything comes for a good reason... and you know this very well!!!! Enjoy each day your opportunity in Japan!!!! Dean-o ~ gonna write a comment cause you seem desperate for them. I'm not humorous like your friends though, whaddya do? Levi is hilarious right now. Says 'Pa-ca' for popcorn, 'Pi-ta' for pizza, pats his chest to say please....ahh, its so good. Though he does get a bit nasty with me/Memphis/Taiya from time to time so we have to read some books and learn how to parent through this! Taiya's growing like crazy, of course ~ all newborns do. She's beautiful. Last doctor's app't she was up to over 8lbs...we see doc again in a week, we'll see what she weighs then. Steve's been busy painting the house...bit by bit...to tidy things up. Its amazing how dirty the walls get after 6 years of living! I can't believe you're beating up Japanese residents...you should be ashamed of yourself. Must run in the family...apparently Matthew got in some squabble with some 'loser' on the opposing team they play hockey with. Hmm...well, just make it a good shot if they're TOTALLY inebriated! Sounds like the job situation really isn't all bad....you're being taken care of guy, that's for sure! I'm glad you didn't get eaten by a monkey, good thing you didn't touch one of them or we'd never have heard from you again! Whew! Glad you didn't get pulverized on the ski hill. I'm sorry about the job..but I think you will meet new, nice people and you will enjoy another year, especially with your new students!! PS I enjoyed your pics! congratulations on losing your Job!!!! including jack welsch, Suichiro Honda, and My self. 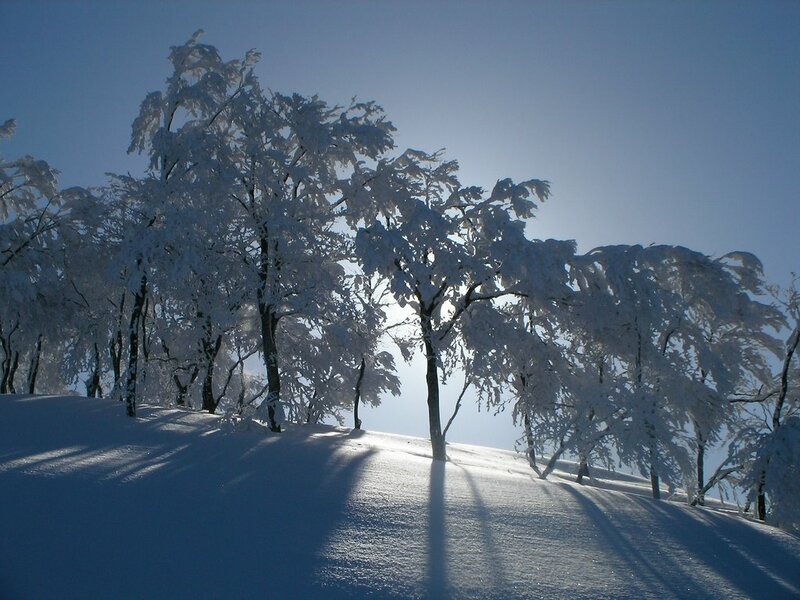 woooow Japan surely looks amazing ( as i dont feel the Brrrrrr of cold snow ) on picture it is awsome. you must know another Christina because that first comment is not from me. I don't do my smiley faces like that. so i finally read it all, the whole long post. loooooong post. i also cleaned house today and am desperately trying not to study (with moderate success). So yay, you're going to get a house. I am going to send those pics to your current address then. i think i'm going to buy a condo. and i haven't yet decided what i'm doing post graduation/pre-residency, but i'm thinking a little trip is in order. if asia is the chosen destination, i just wanted to know if it would be reasonable to request the right to crash at your place? yes? no? maybe so? what? you're growing a 3rd testicle? Dean, bro! Don't worry for your job, you have a lo to o potential and you will find a new and wondeful job for you! I'm sure! So, do you see the invernal olimpics? Do you know CURLING game?? It's very funny...and strange...all italian people had knew now this game...in the future, italian team will win against canadian team!!! take care bro, adn remember..."keep your stick on the ice and your head up!"